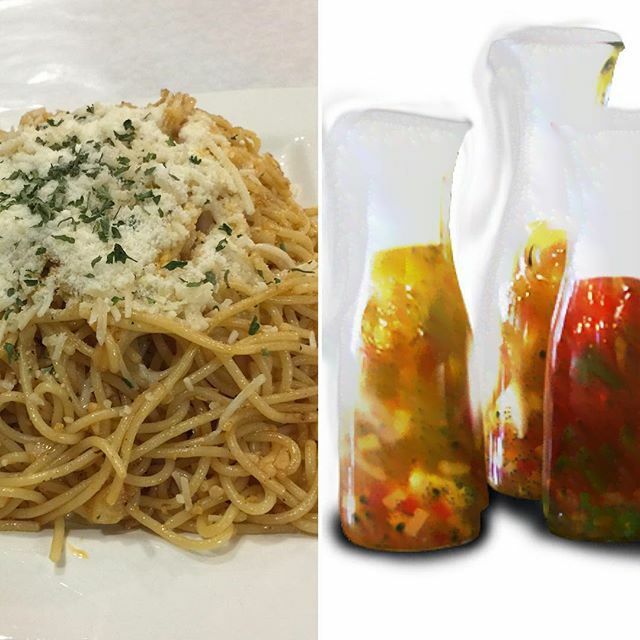 FREE GARLIC NOODLES OR DRY ICE DRINK WITH EVERY COMBO ORDER UNTIL FEBRUARY 28 @ SUBMARINE CRAB - EAT WITH HOP! Submarine Crab is now open on Tuesdays! 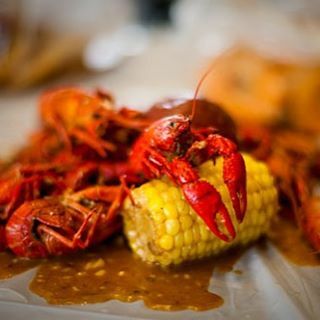 And to celebrate this, they've got a Tuesday special for all y'all Cajun lovers like me! For every combo you order, get a free garlic noodles or free ocean fog drink! Deal is only on Tuesdays. According to their Instagram, the deal ends by february 28. So what's a combo? All of your favorite things if you can't decide between which seafood to get! **all combos come with 3 corns / 3 potatoes / 6 sausages ! **menu price mentioned are subject to change. basically, don't blame me if these aren't the right prices! I love Submarine Crab. 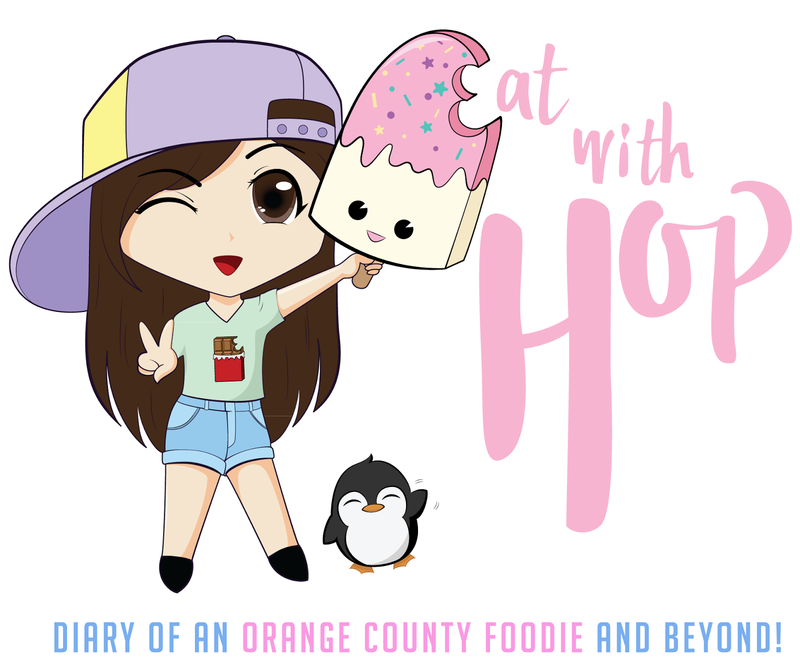 But of course, I know you will ask me, "Is it better than Boiling Crab?" Well, let me tell ya, They are quite different. I love both places. Boiling Crab serves their seafood in a bag but Submarine serves it in a bowl. The bowl is much more convenient to scoop the sauces onto the seafood in my opinion. Boiling Crab sauces taste a bit thicker and saltier compared to Submarine Crab. Either way, if you haven't, give Submarine Crab a chance! Especially, on Tuesdays to take advantage of this deal! My faves here are the complimentary shrimp cracker chips they give you free while you decide what to order! Those are so good and I love saving them to dip in the sauce. You can even ask for more too! I love how I won't smell fishy here at the end. Why? BECAUSE DRY ICE. They give you a bottle of dry ice and soap at the end that bubbles up so that you can wash your hands while having fun! It's such a fun bubble fight with your friends! Opening on a Tuesday is a big deal here. The plaza it's in is usually dead and looks desolate on Tuesdays because almost every business is closed on Tuesdays. I'm glad Submarine Crab decided to open on a Tuesday now! Now hopefully the plaza will be more lively on Tuesdays! *UPDATE: My friends and I went here last Tuesday and got Combo #1 with free Garlic Noodles. THE DEAL IS CRAZY GOOD! The Garlic Noodles is huuuge. Like, even if it's free, they do not skimp on ya. I feel like now I would totally buy the Garlic Noodles just on its own if I'm ever craving and it's definitely enough to share with two people and be satisfied. I shared it with 3 other people (4 people total) and it was a good amount to eat along with the seafood! If you're ever here on a Tuesday, this is the spot. If you're not in town, it's definitely worth it for a good experience. Let's just say, I love washing my hands here because of the dry ice! Woo! **In the same plaza as Frozen Bar and Oc & Lau!